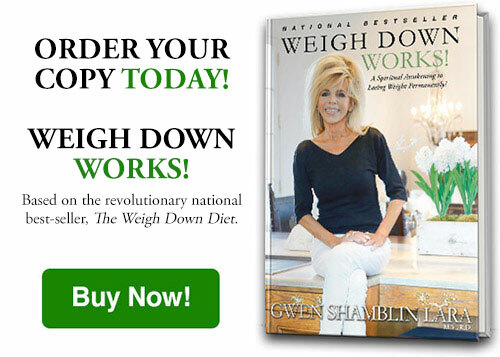 Before we begin learning the new approach, I want you to know why diets do not work. This will help explain why you have not been successful and give you more hope that you are not a failure and that you can do this program. Pills, liquid fasts, appetite suppressants, and counting fat grams change your environment temporarily, but they do not change you. They are like taking aspirin for a fever. Yes, the fever goes down temporarily, but as soon as the aspirin wears off, the fever goes back up. Why? It is because the aspirin does not get to the root of the problem—the bacterial infection. What you need is an antibiotic. 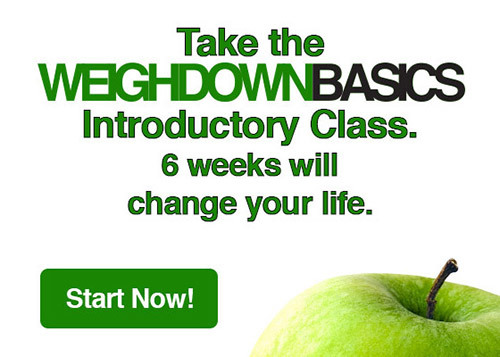 We believe the Weigh Down approach is the antibiotic or what is needed to get to the root of the real problem. The real problem can be partially defined as a desire to put more food down the esophagus than the body wants or, put another way, wanting to chew more food than the body can handle. Making the food behave by changing its content (low fat, low calorie) will not help you change this desire to chew more food. In fact, dieting is the perfect environment to cultivate a deeper love for food. Using the Weigh Down approach, we will not ask the food to behave. Instead, we will teach you how to behave. 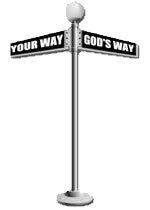 More importantly, we will teach you how God can take away the desire to overeat. Just know that everyone who traveled this journey and lost weight permanently did not have to increase energy expenditure through exercise. Not everyone can exercise. What about the disabled? What about the person who loves to exercise but has been injured? Are these people doomed to gain weight? No. Let me explain. Exercise will not increase the speed of your weight loss, because you now will be using hunger and fullness as your signals to eat. In exercise, your body needs more oxygen, so immediately and automatically, you breathe harder. Exercise will also make you more thirsty. You will require more water to satisfy your body’s needs, so you will automatically drink more water until those needs are met. Likewise, even though hunger is deferred temporarily, within twenty-four hours, your body’s hunger increases automatically to cover the body’s extra caloric needs. So if you want to exercise, fine; but exercise will not help you to lose weight faster. It will allow you to eat more food, just as it allows you to drink more water. The goal of Weigh Down will be a decreased desire to eat large volumes of food. If you are less active because of an inability to exercise, your hunger will decrease to meet your fuel needs. You never have to fear missing an aerobics class or workout again.